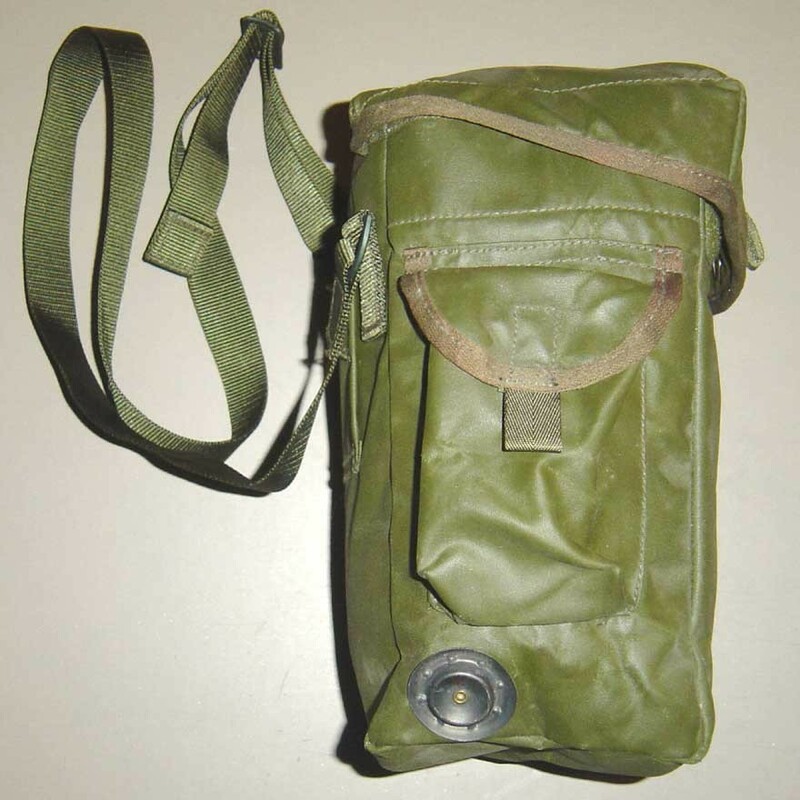 Olive Green S6 Respirator Haversack, this is the older style of Resin Bag made from the coated nylon rather than the current issue made from Cordura This is a great little multi-purpose shoulder bag which was made to hold a Gas Mask, Gloves, Decontamination Kit, etc. 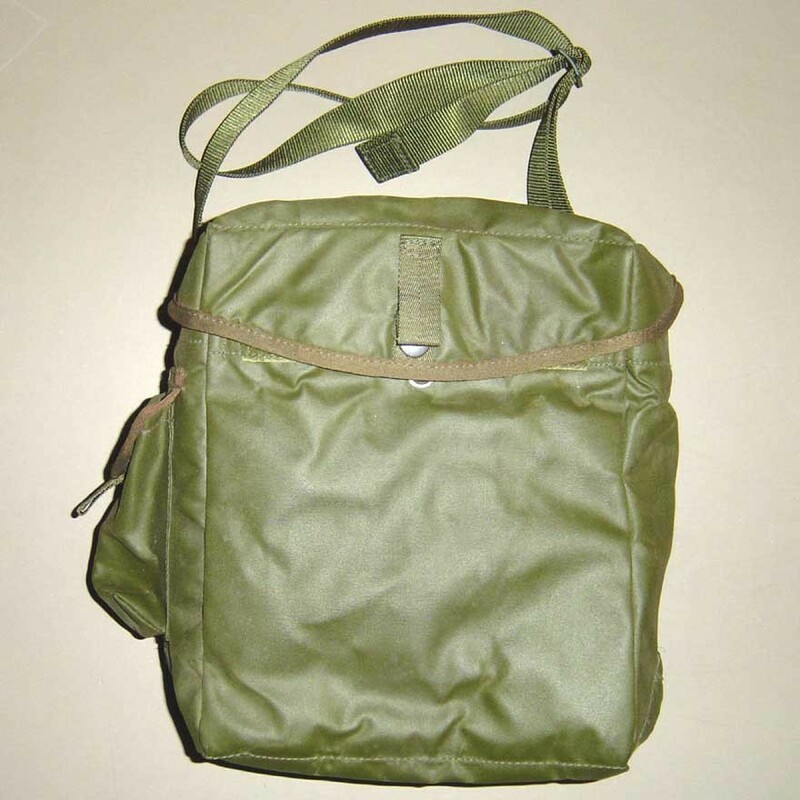 These bags always sell very well and are renowned for their durability and practicality. 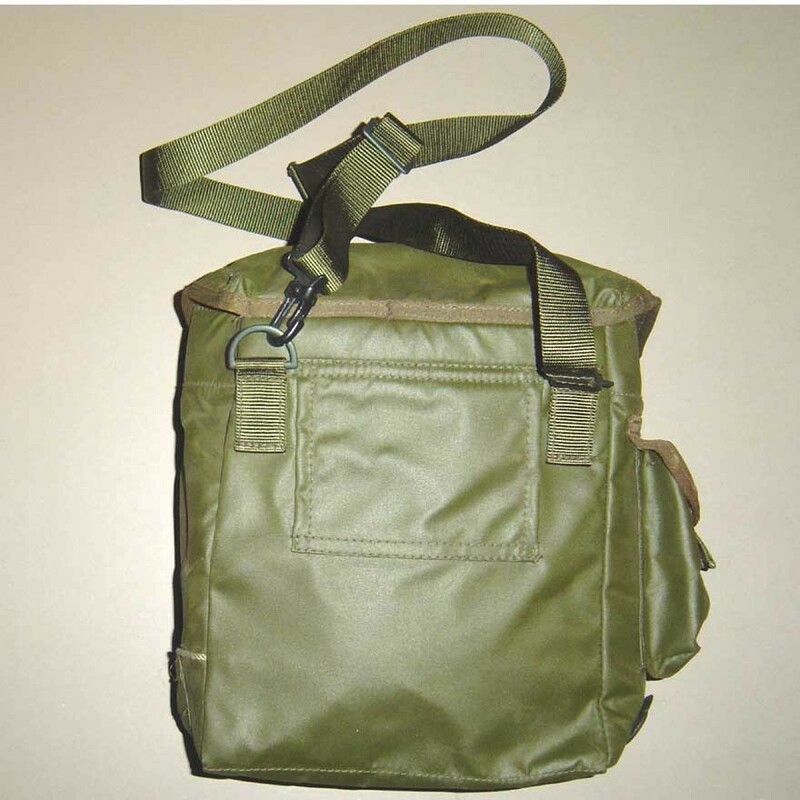 We sell them for all sorts of uses - Cartridge Bags, Battery Bags for lamping outfits, lunch bags, bags for waterproofs, carrier for purse nets, fishing tackle bag, golf ball bag, etc. 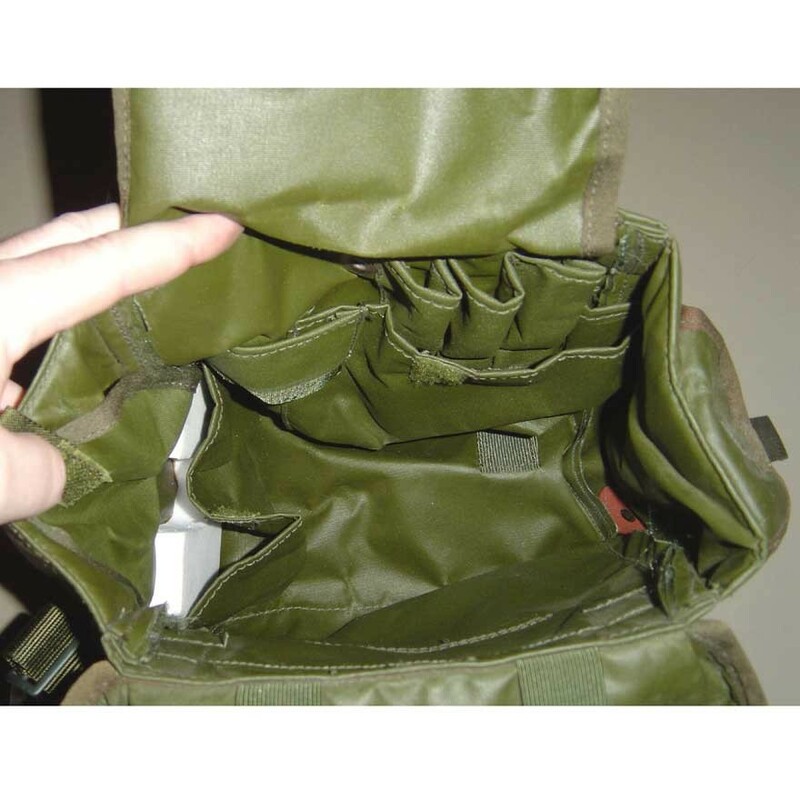 The bag comprises a large main compartment , inside this main compartment at the inner front is a small pocket with looped dividers and on the outer side there is small single pocket with Velcro closure. 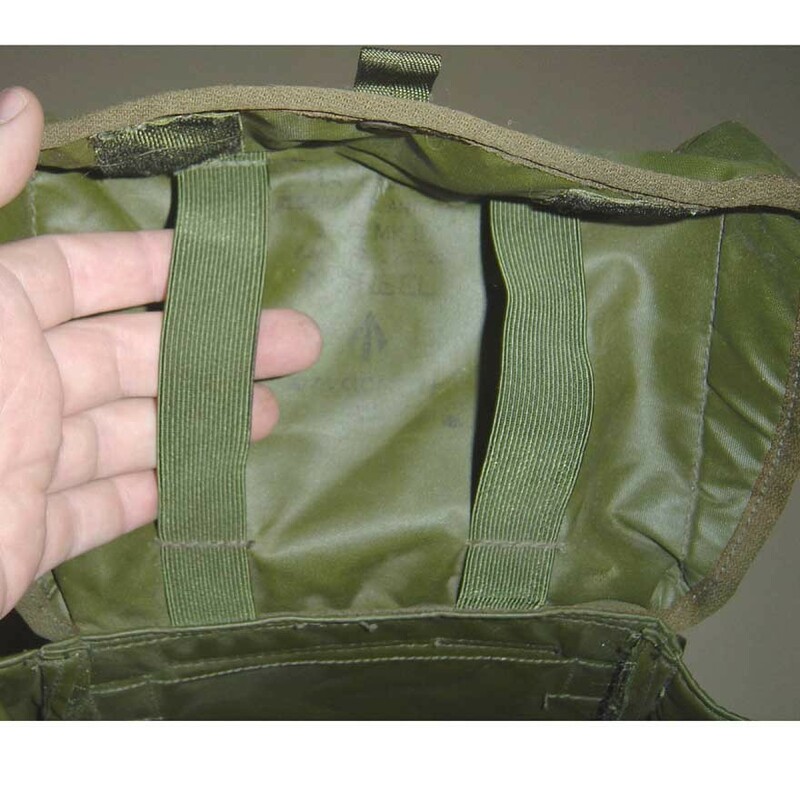 The bag is of a heavy nylon with a watreproof coating and the lid closes with a single press stud and a couple of Velcro tabs. 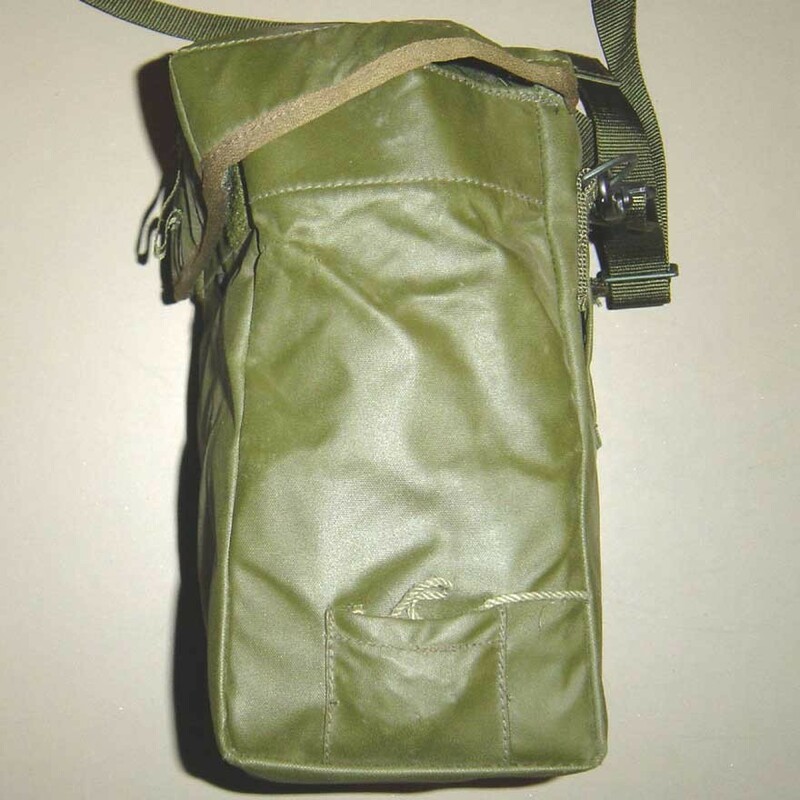 The shoulder strap is a 1 inch wide webbing strap, this strap is adjustable with a simple to release release buckle. On the back of the pack is a webbing loop so that it can be fastened to a broad belt.